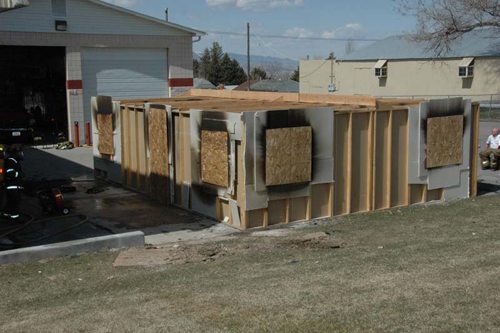 The B-SAHF (Building, Smoke, Air Track, Heat, & Flame) organizing scheme for fire behavior indicators provides a sound method for assessment of current and potential fire behavior in compartment fires. The following provides a quick review of each of these indicator types. 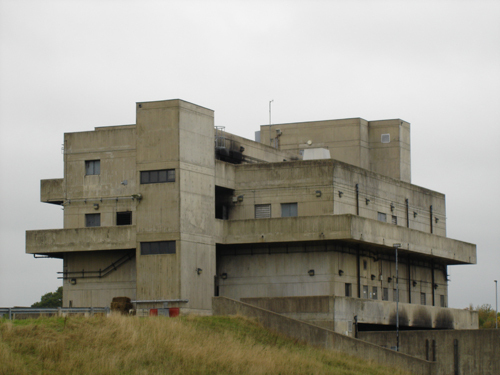 Building: Many aspects of the building (and its contents) are of interest to firefighters. 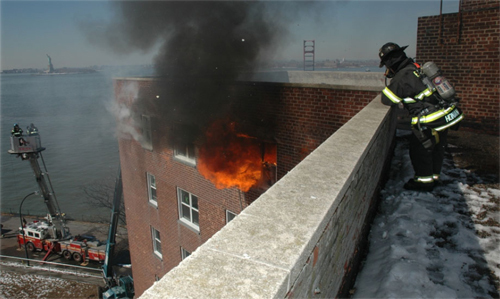 Building construction influences both fire development and potential for collapse. The occupancy and related contents are likely to have a major impact on fire dynamics as well. 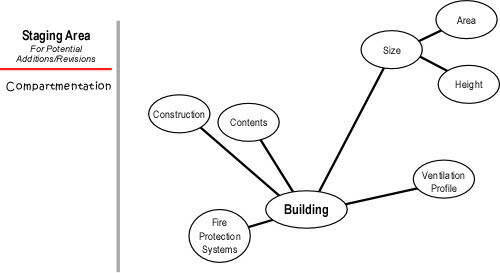 Considering the wide range of different building types and occupancies, developing a concept map of the factors and interrelationships that influence fire behavior is no simple task. As you begin this process, keep in mind that it is important to move from general concepts to more specific details. 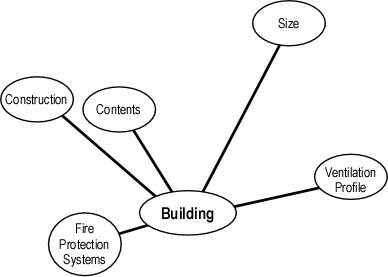 For example, you might select construction type, contents, size, ventilation profile, and fire protection systems as the fundamental factors as illustrated in Figure 2. (However, you also might choose to approach this differently!). Remember that this is simply a draft (as will each successive version of your map)! Don’t get hung up on getting it “right”. The key is to get started and give some thought to what might be important. After adding some detail, you may come back and reorganize the map, identifying another basic element. For example, early versions of this map listed Fire Suppression Systems (e.g., automatic sprinklers) as one of the core concepts. 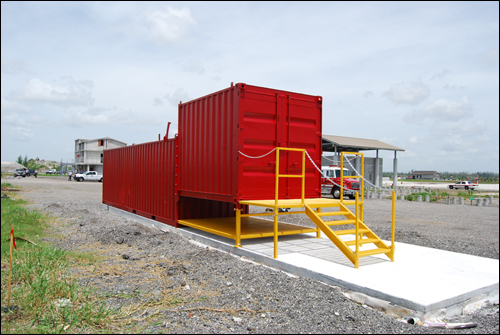 However, after adding some detail, this concept was broadened to Fire Protection Systems (e.g., automatic sprinklers, fire detection, and other types of inbuilt fire protection). Expanding the map requires identification of additional detail for each of the fundamental concepts. If an idea appears to be obviously related to one of the concepts already on the map, go ahead and add it. If you are unsure of where it might go, but it seems important, list it off to the side in a staging area for possible additions. For example, area and height are important concepts related to size. However, compartmentation may be related to size or it may be a construction factor. If you are unsure of where this should appear on the map, place it in the Staging Area for now. Take your partially completed map and notes and visit several different types of buildings. Visualize how a fire might develop and what building features would influence this process. 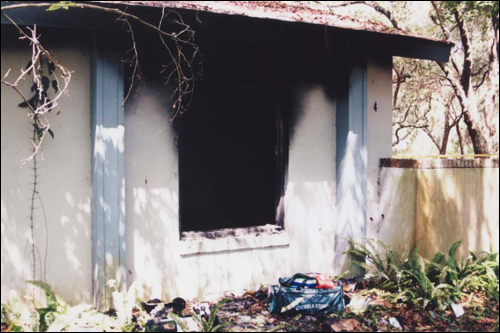 Examine the incident profiled in the Remember the Past segment of this post and give some thought to how building factors may have influenced fire behavior and the outcome of this incident. In addition, I am still posing questions related to B-SAHF using Twitter. Have a look [http://twitter.com/edhartin] and join in by responding to the questions. While this is not a familiar tool to most firefighters, I think that it has great potential. I would also like to thank Senior Instructor Jason Collits of the New South Wales (Australia) Fire Brigades and Lieutenant Matt Leech of Tualatin Valley Fire and Rescue (also an Instructor Trainer with CFBT-US, LLC) for their collaborative efforts on extending and refining our collective understanding of the B-SAHF indicators. Jason and Matt have been using Bubbl.us to develop and share their respective maps and I will be integrating their work into future posts on Fire Behavior Indicators. Yesterday was the eighth anniversary of a tragic fire in New York City that claimed the lives of three members of FDNY as a result of a backdraft in the basement of a hardware store. Fire companies were dispatched to a report of a fire in a hardware store. The first- arriving engine company, which had been flagged down by civilians in the area prior to the dispatch, reported a working fire with smoke venting from a second-story window. A bystander brought the company officer from the first-arriving engine company to the rear of the building where smoke was observed venting from around a steel basement door. The first-arriving command officer was also shown the door and ordered an engine company to stretch a line to the rear of the building. A ladder company was ordered to the rear to assist in opening the door; Firefighter Downing was a member of this company. The first-due rescue company, including Firefighters Fahey and Ford, searched the first floor of the hardware store and assisted with forcible entry on the exterior. The incident commander directed firefighters at the rear of the building to open the rear door and attack the basement fire. Firefighters on the first floor were directed to keep the interior basement stairwell door closed and prevent the fire from extending. The rear basement door was reinforced, and a hydraulic rescue tool was employed to open it. 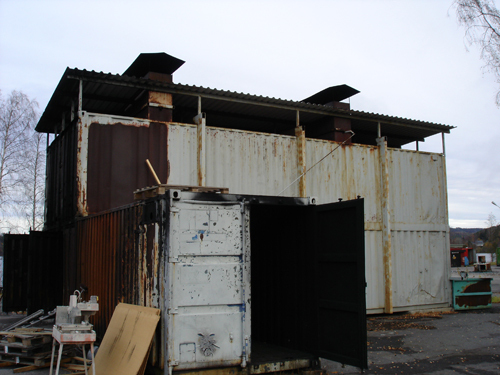 Once the first door was opened, a steel gate was found inside, further delaying fire attack. Firefighters Downing and Ford were attempting to open basement windows on the side of the building, and Firefighter Fahey was inside of the structure on the first floor. An explosion occurred and caused major structural damage to the hardware store. Three fire-fighters were trapped under debris from a wall that collapsed on the side of the hardware store; several firefighters were trapped on the second floor; firefighters who were on the roof prior to the explosion were blown upwards with several firefighters riding debris to the street below; and fire-fighters on the street were knocked over by the force of the explosion. The explosion trapped and killed Firefighters Downing and Ford under the collapsed wall; their deaths were immediate. Firefighter Fahey was blown into the basement of the structure. He called for help on his radio, but firefighters were unable to reach him in time. The cause of death for Firefighters Downing and Ford was internal trauma, and the cause of death for Firefighter Fahey was listed as asphyxiation. 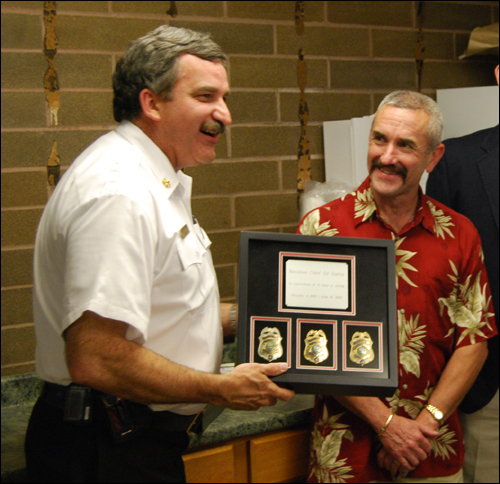 Firefighter Fahey’s carboxyhemoglobin level was found to be 63%. In addition to the three fatalities, 99 firefighters were injured at this incident. The fire was caused when children – two boys, ages 13 and 15 – knocked over a gasoline can at the rear of the hard-ware store. The gasoline flowed under the rear doorway and was eventually ignited by the pilot flame on a hot water heater. Grimwood, P., Hartin, E., McDonough, J., & Raffel, S. (2005). 3D firefighting: Training, techniques, & tactics. Stillwater, OK: Fire Protection Publications. Hartin, E. (2007) Fire behavior indicators: Building expertise. Retrieved June 17, 2009 from www.firehouse.com. Hartin, E. (2007) Reading the fire: Building factors. Retrieved June 17, 2009 from www.firehouse.com. June 14-20, 2009 is Fire & EMS Safety, Health, and Survival Week. CFBT-US urges you to take this week to examine your own habits and behaviors and common practices in your fire service organization with a critical eye and identify ways in which you can reduce your risk and improve the effectiveness of fireground operations. The International Association of Fire Chiefs (IAFC) has published a list of recommendations to encourage individual and organizational responsibility for safety. Lower speeds-stop racing to the scene. Drive safely and arrive alive to help others. Utilize seat belts-never drive or ride without them. Stop at every intersection-look in all directions and then proceed in a safe manner. Always complete a 360� walk of the structure to collect valuable, operational decision-making information. In addition to the recommendations made by the IAFC, I would like to offer several additional recommendations and revisions to the IAFC’s list. Health: Remember that products of combustion present both short and long term health effects. Don’t breathe smoke and minimize exposure to products of combustion by using care in handling contaminated equipment and clothing and cleaning it promptly after use. Survival: Develop a solid understanding of practical fire dynamics. In addition to understanding building construction (B) and reading smoke (S), use the entire B-SAHF (Building-Smoke, Air Track, Heat, & Flame) approach to reading the fire. Remember that size-up and dynamic risk assessment are an ongoing process conducted by everyone on the fireground! Chiefs: Not only must you hold your members accountable. They must be able to hold you accountable as well. Lead by example! Still Waiting to Hear from You! In an earlier post, I encouraged you to construct a personal concept map of fire behavior indicators, starting with building factors. As a way of collaborating on this project, you can follow edhartin on Twitter and Tweet Back on this question with factors that you think should be included in the concept map. No response as of yet! Take a minute and revisit Reading the Fire: How to Improve Your Skills and consider engaging in this project. I need your help to make this work. I would like to offer my congratulations to my two friends and colleagues Inspector John McDonough, ASFM of the New South Wales Fire Brigades and Acting Inspector Shan Raffel, CIFireE, EngTech, ASFM of Queensland Fire Rescue on receiving the Australian Fire Service Medal (AFSM) for distinguished service to their nation’s fire service. This is the second accolade for Shan in the last several months as he was recognized as a Companion of the Institution of Fire Engineers (IFE) for his work as national president and his tireless work for IFE Australia. Outstanding work gentlemen, honors well deserved! In Reading the Fire: B-SAHF, I introduced the B-SAHF (Building, Smoke, Air Track, Heat, and Flame) conceptual framework for reading the fire and have subsequently provided a series of video clips and photos to provide an opportunity to exercise your skill in reading the fire. While looking at video, photos (and actual incidents) may help build your knowledge and skill, different types of practice and knowledge building can also further your professional development. A concept map is a graphic tool for representing knowledge (Novak & Ca�as, 2008). The map illustrates concepts and their relationships to one another (similar to an electrical circuit diagram or road map). Concept maps use a hierarchical form (similar to an organizational chart) with general concepts at the top and details further down. Mind maps are a similar tool often used in brainstorming that use a radial hierarchy with a tree-like hierarchy branching out from the center. I draw on both of these approaches in describing fire behavior indicators. A radial hierarchy is used as the foundation, but other relationships are illustrated and concepts can be interconnected in a variety of different ways. A key step in improving your ability to read the fire is to think about what you should be looking for. Identifying key indicators and thinking about what they mean can be an important step in developing and improving your knowledge and skill. I find that this is an ongoing process as I continue to add to and refine my fire behavior indicators concept map. This map is not a fireground tool or a checklist of things to look for, but serves as a representation of my understanding and learning. While I am willing to share this map (Ed’s B-SAHF Map v5.2.1), it is more useful for you to build your own, representing your own understanding of these indicators and concepts. Concept maps can be created using a pencil and paper, Post-It notes and an easel pad or white board, or using a computer with drawing software or a program specifically created for concept mapping. At one point or another, I have used each of these tools and find that they all have advantages and disadvantages. The tools you use are not as important as the mental process of collaborating with others and creating your map. Without getting bogged down an a long discussion of the educational and psychological foundations for concept mapping, it is important to understand that development of concept maps supports meaningful rather than rote learning. Rote learning often involves simple memorization. Meaningful learning requires three conditions (Ausubel, 1963). Concepts must be clear and presented with common language and examples connected to the learner’s prior knowledge. The learner must have relevant prior knowledge. Note that the learner does not require expertise, but needs sufficient knowledge to make sense of the concepts involved. Most importantly, the learner must choose to learn in a meaningful way. Many firefighters struggle with creating mind maps (at first) because much of fire service training focuses on rote learning. However, I find that this challenge can easily be overcome if firefighters recognize the value of exploring the key fire behavior indicators and their relationships to one another. It is important to remember that a concept map is never finished. After you develop the first draft, it is always necessary to revise the map to increase clarity or add important concepts that you discover as work continues. For example, my FBI Concept Map is on Version 5.2.1, indicating five major revisions and 21 minor revisions or additions over seven years! The best concept maps are not developed in a vacuum. Collaboration with others can help us identify additional information and provides ideas that we may not have thought of on our own. For example, the current version of my FBI concept map started as my collaboration with Shan Raffel. However, it has evolved to include suggestions from hundreds of CFBT course participants. Propositions or ideas developed by a group of learners may be thought of as ingredients in a kind of “knowledge soup” (Ca�as, Ford, Hayes, Brennan, & Reichherzer, 1995, p. 4). The learners share the ingredients and each cook their own variation on the soup by constructing their own understanding. One way to approach this is to brainstorm key concepts and ideas before beginning the process of organizing the information and drawing the map. We have an advantage today that firefighters in previous generations did not have. Technology provides unparalleled opportunity for collaboration and learning. For example, this blog provides me with an opportunity to communicate and share information with firefighters around the world in a matter of minutes. In addition to my twice weekly blog posts, micro-blogging using the CFBT-US Twitter page provides a simple and easy method to rapidly share information on a daily (and in some cases hourly) basis. Recently I have been reading a series of blog posts titled 31 Days to Build a Better Blog on Problogger. This stimulated my thinking about different ways to leverage technology to share information within the fire service and more particularly the compartment fire behavior community. Twitter may provide a simple means for collecting the ingredients needed for the knowledge soup necessary to develop and improve our respective fire behavior indicators concept maps. This process could be started posting a question focused on one element of the FBI Concept map such as: What key building factors that impact on fire behavior can be used as indicators of current and predicted fire behavior? Readers can then respond (Tweet Back) with brief statements (no more than 140 characters) that identify the factors. All readers would then have access to this information when constructing the Building Indicators segment of their FBI Concept Map. Another challenge is actually drawing the concept map (some of us are more graphically inclined or skilled than others). 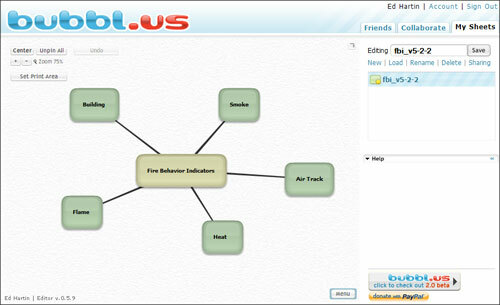 Bubble.us is a simple and easy to learn tool that provides a way to organize information as a concept map and share the work with others by e-mail, on the web, or embedded in a web page. Use of this software is free (you simply visit the bubbl.us web page, sign up and start creating your map. You can share your map with others to read or you can give them permission to edit the map. While I have not used this software extensively, it appears to be extremely easy to use and an excellent tool to simplify the process of drawing concept maps. All very interesting, but how does this help us improve our ability to read the fire? Originally I had thought about using the “31 Days” concept to reading the fire. However, it will likely take a bit longer than that. My next post will propose that we begin with an examination of building factors that influence fire behavior and which may serve as useful indicators in situational assessment. In the mean time, visit the CFBT-US Twitter page and respond to the question about building factors! Follow me for regular updates (you can also subscribe to an RSS Feed to receive information in a feed reader or via e-mail). 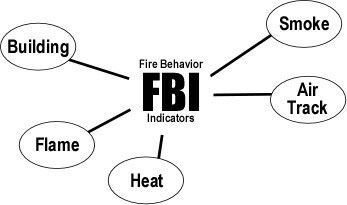 Each month I will move to the next element in the B-SAHF organizing scheme for fire behavior indicators until we have completed the entire FBI concept map. However, feel free to work ahead! The instructor-in-charge is responsible for overall fireground activiey to ensure correct [emphasis added] levels of safety. 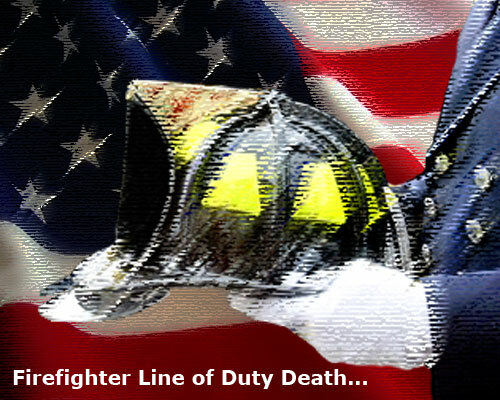 NIOSH recently released Death in the Line of Duty Reports 2008-30 and 2008-36, both of which examined incidents in which firefighters lost their lives during or immediately after live fire training. It is easy to glance at these reports and think that this is just another heart attack with the same recommendations as all the other report. However, I encourage you to stop, read these two reports, and give some thought to what this information means to you on a personal level. On August 9, 2008; Captain Sean Whiten (Age 47) was leading a team of students during live fire training in a purpose built burn building. After completing an interior attack, Captain Whiten complained of being tired but otherwise had no complaints. Medical evaluation conducted as part of the rehabilitation process showed elevated pulse and blood pressure, but this was consistent with participation in a strenuous training activity. After rehab, Captain Whiten was relaxing by his vehicle when he went into cardiac arrest. Instructors and students began CPR and applied a automatic external defibrillator prior to the arrival of an advanced life support ambulance. Paramedics initiated advanced live support procedures and transported Captain Whiten to the hospital where resuscitation efforts continued until he was pronounced dead by the attending physician. An autopsy conducted by a forensic pathologist discovered that Captain Whiten suffered from coronary artery disease and had ventricular hypertrophy (LVH) and cardiomegaly, conditions which increase the risk of sudden cardiac death. The Captain also had mild elevation of his carboxyhemoglobin (COHb) level, but it is unclear if this had any influence on his heart attack and sudden cardiac death. The Captain’s risk factors for CAD included male gender, age over 45, high blood cholesterol, and obesity. However, he had been cleared by his primary care physician to engage in a fire department physical ability test. On July 6, 2008 Firefighter Rufus Brinson (Age 50) was teaching a class involving live fire training at a local community college. After several evolutions under high ambient temperature 34.4o C (94o F) and high relative humidity (58%), including a search drill conducted using hot smoke in a purpose built burn building, Firefighter Brinson indicated that he was not feeling well and took a break in the air conditioned cab of the engine. Another instructor took over teaching for the next evolution while Firefighter Brinson operated the pump. While refilling the apparatus tank after the final evolution, he collapsed next to the apparatus. An instructor initiated CPR and requested an ambulance. The ambulance was staffed with intermediate level emergency medical technicians who requested response of a paramedic level unit. Transport was initiated prior to the arrival of paramedics who met the ambulance enroute to the hospital and initiated advanced life support procedures. Resuscitation efforts continued at the hospital until Firefighter Brinson was pronounced dead by the attending physician. An autopsy conducted by the medical examiner listed congestive heart failure as the cause of death and severe coronary atherosclerotic disease and hypertensive heart disease as contributing factors. Firefighter Brinson was also found to have left ventricular hypertrophy (LVH) and cardiomegaly. Risk factors for CAD included male gender, age over 45, smoking, overweight (but not obese), and limited aerobic exercise. Firefighter Brinson had not had a medical exam by a physician in seven years. Provide pre-placement and annual medical evaluations to fire fighters consistent with National Fire Protection As�sociation (NFPA) 1582, Standard on Comprehensive Occupational Medical Program for Fire Departments, to determine their medical ability to perform duties without presenting a significant risk to the safety and health of themselves or others. Incorporate exercise stress tests following standard medical guidelines into a Fire Department medical evaluation program. Ensure fire fighters are cleared for return to duty by a physician knowledge�able about the physical demands of fire fighting, the personal protective equipment used by fire fighters, and the vari�ous components of NFPA 1582. Phase in a comprehensive wellness and fitness program for fire fighters to reduce risk factors for cardiovascular disease and improve cardiovascular capacity. Provide fire fighters with medical clearance to wear a self-contained breathing apparatus (SCBA) as part of a Fire Department medical evaluation program. These recommendations are no surprise. It is commonly known that firefighting is a physiologically stressful activity and that working in a high ambient temperature environment increases that stress substantially. Firefighters must be well and fit in order to safely and effectively operate in realistic training and on the fireground. Who is responsible for ensuring that firefighters are medically and physically capable of engaging in firefighting operations? On one hand, you can make a reasonable argument that it is the fire department’s (employer’s) responsibility. One of the foundations of occupational safety and health regulation is the employer’s responsibility to provide a place of employment which is free from recognized hazards that are causing or likely to cause death or serious physical harm. However, is this solely the employer’s responsibility? In examining this issue, I will put things in a personal context. I am a male, over 50, have a family history of heart disease, and last ago was diagnosed with hyperlipidemia (high cholesterol). While not grossly overweight, over the last 10 or 12 years my body mass index had crept up and outside the optimum. In addition, my work schedule and graduate studies had negatively impacted my workout schedule and reduced my aerobic exercise considerably. When I had my annual medical physical as a hazmat technician, the occupational medicine physician indicated that I should talk with my primary care physician about my cholesterol level lose some weight, and get more aerobic exercise. Several weeks later, I sat with my dad (a retired fire chief) as he died from congestive heart failure (at age 92). He had retired due to a heart attack the year I started my fire service career. The time that I spent with him over the last week of his life gave me a great deal to think about. While my employer should (and does) provide medical physicals, respirator qualification, physical ability assessment, and the facilities and time to work out, I am the one responsible for action. Since last summer, I have lost 15.9 kg (35 pounds), substantially improved my aerobic fitness, and reduced my cholesterol to near optimal level. While I had not noticed the degradation in my physical capacity (other than to figure that I was getting old), I have noticed a significant improvement. I feel better on a day-to-day basis and find myself less fatigued when delivering live fire training. Fire service organizations have a responsibility to their members to provide medical/physical assessment and wellness/fitness programs. However, each of us also has a responsibility to ensure that we are medically and physically qualified for the work we are doing. Take care of yourself and look out for the people you work with! National Fire Protection Association (NFPA). (2007). 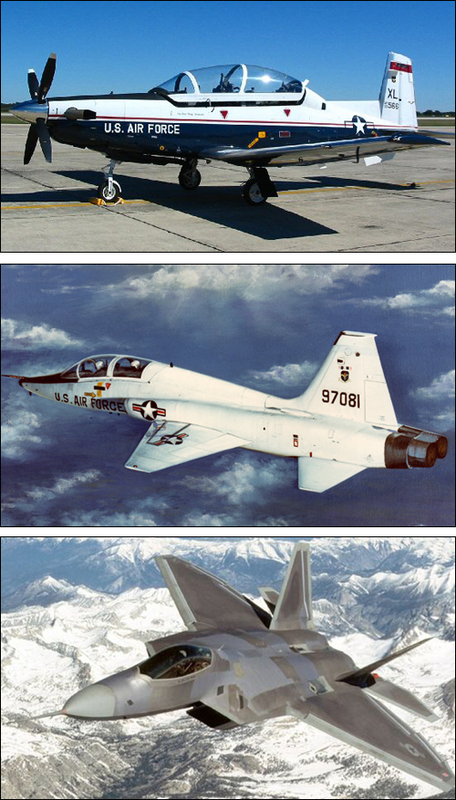 Standard on live fire training evolutions. Quincy, MA: Author. Grimwood, P., Hartin, E., McDonough, J., & Raffel, S. (2005). 3D firefighting: Training, techniques, and tactics. Stillwater, OK: Fire Protection Publications.